A round-up of publications on the history of emotions from January to June 2016. If you would like your publication to be featured in the next quarterly round-up, please send the details (including a link to more information or the full article) to emotions@qmul.ac.uk by 1 October 2016. Chaney, Edward. (2015) Genius Friend: G.B. Edwards and The Book of Ebenezer le Page, Guernsey: Blue Ormer Publishing. Musumeci, Emilia. (2015) Emozioni, crimine, giustizia. Un’indagine storico-giuridica tra Otto e Novecento, Milan: FrancoAngeli. Pribram, Deirdre E. (2016) A Cultural Approach to Emotional Disorders: Psychological and Aesthetic Interpretations. New York: Routledge. 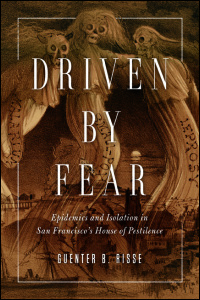 Risse, G. (2016) Driven by Fear: Epidemics and Isolation in San Francisco’s House of Pestilence. Champaign, Illinois: University of Illinois Press. Sykes, Ingrid. (2015) Society, Culture and the Auditory Imagination in Modern France: The Humanity of Hearing, Basingstoke: Palgrave. Assmann, A. & I. Detmers (Eds. ), (2016) Empathy and its limits. Houndmills: Palgrave Macmillan. Buchner, M., & Götz, A.-M. (Eds.). (2016). Transmortale: Sterben, Tod und Trauer in der neueren Forschung (Kasseler Studien zur Sepulkralkultur No. 22). Köln: Böhlau Verlag. Delgado, Elena, Pura Fernández and Jo Labanyi (ed.). (2016) Engaging the Emotions in Spanish Culture and History. Nashville, TN: Vanderbilt UP. Führer, C. (Ed. ), (2016) Die andere deutsche Erinnerung: Tendenzen literarischen und kulturellen Lernens (Deutschsprachige Gegenwartsliteratur und Medien No. 18). Göttingen: V & R unipress. Landweer, H. & D. Koppelberg (Eds. ), (2016) Recht und Emotion I: Verkannte Zusammenhänge (Neue Phänomenologie No. 26). Freiburg: Karl Alber. Anderson, Miranda. (2016). “Francis Bacon’s Flux of the Spirits and Renaissance Paradigms of Hybridity and Adaptation.” In Giglioni, G., Taylor, J., Corneanu, S. and Jalobeanu, D. (eds), Francis Bacon on Motion and Power. Switzerland: Springer, 2016. Porter, A. (2016). “Compassion in Soranus’ Gynecology and Caelius Aurelianus’ On Chronic Diseases.” In Georgia Petridou and Chiara Thumiger (Eds.) Homo Patiens: Approaches to the Patient in the Ancient World, chapter 10 (pp. 285-303), Boston, Mass: Brill. Jensen, K.A. and M.L. Wallace (Eds. ), (2015) “Special Topic: Emotions”, PMLA, 30:5. Mackelworth, Jane, Angharad Eyre and Elsa Richardson (Eds.) (2016), “Inspired by Constance Maynard: exploring women’s sexual, emotional and religious lives through their writings”. Women’s History Review, 25:1. Pernau, M. (Ed.) (2016) “Emotion Concepts in Urdu and Bengali”, Contributions to the History of Concepts, 11:2, pp. 24-106. Cullen, N.A. (2016) ‘The Case of Franca Viola: Debating Gender, Nation and Modernity in 1960s Italy’ Contemporary European History, Vol. 25: 1, pp. 97-115. Henderson, David (2016): “Cultural homelessness: A challenge to theory and practice”, Psychodynamic Practice, 22 (2), 165-72. McNamer, Sarah (2015). “The Literariness of Literature and the History of Emotions,” PMLA 130, 5: 1433-1442. Millar, Charlotte-Rose (2016). “Rebecca West’s Demonic Marriage: Exploring Emotions, Ritual and Women’s Agency in Seventeenth-Century England” Women’s History (formerly Women’s History Magazine), 2, 4,Spring, 2016, 4-10. Pernau, M., & Rajamani, I. (2016). “Emotional translations: Conceptual history beyond language.” History and Theory, 55 (1): 46-65. Zapico, M. and Cantano, A. (2016). “Imágenes de odio y miedo¡Así eran los rojos! Una exposición anticomunista en la España franquista (1943)”, Historia del presente, Nº 27, pp. 19-33. 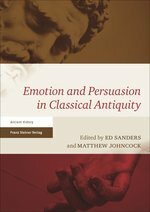 This entry was posted in Publications and tagged history of emotions, new publications by Sarah Chaney. Bookmark the permalink.